Holiday shopping can feel overwhelming if you’ve got lots of friends or family to buy for. 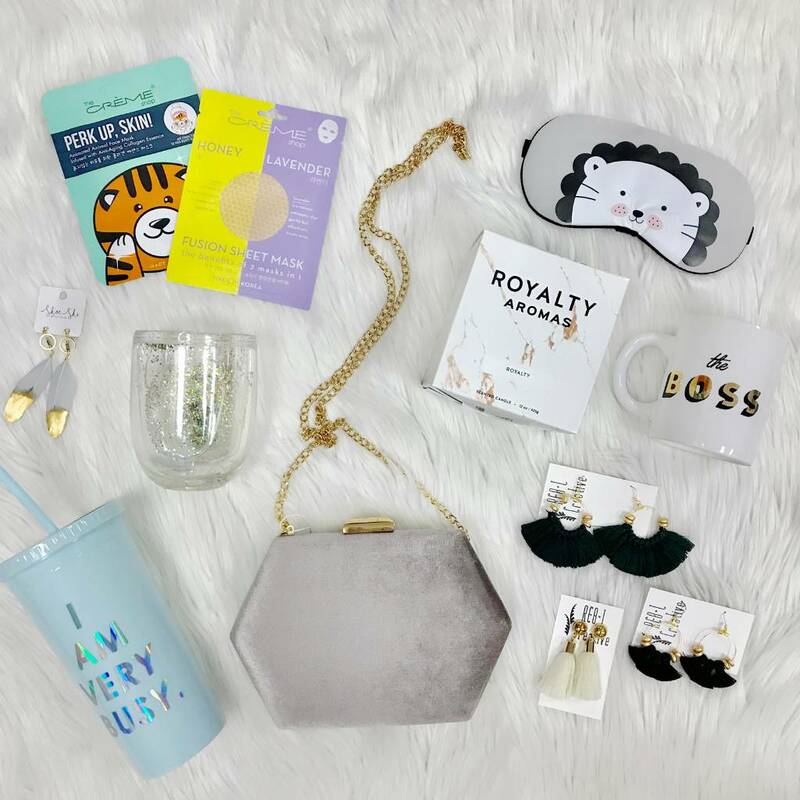 But don’t fret, we’ve got lots of ideas for the leading ladies on your gift list! Candles – Candles are a safe buy for most people on your list this year. It’s a thoughtful gift that will last for months, and sweeten up any home! Earrings – For the girl who loves to accessorize! Earrings are always a safe buy because they are guaranteed to fit. No worrying about sizes (phew)! Try something small and metallic for your simpler friend, or a fun colorful tassel for the friend who can’t accessorize enough! Handbags – This is another great option for the friends that you aren’t sure about what size to buy, and what girl doesn’t love a good handbag!? We recommend going for smaller crossbody or specialty clutches, instead of trying to replace their everyday handbag because we all know how hard it is to find the perfect, old faithful handbag. Face Masks – Know a gal who loves to pamper? We’ve got you covered. Grab a few sheet face masks, a cooling eye mask, a bottle of wine and you’re all set! Tumblers – Speaking of wine…drink your favorite adult beverages in style! We are in LOVE with our glitter tumblers. Buy one and stuff it with goodies, or buy a set (who likes drinking alone?!). We’ve also got lots of mugs, tumblers, and water bottles that are perfect for keeping on your desk, college students, or teachers!